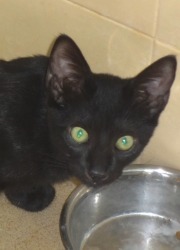 ADOPTED: Mowgli is a beautiful black kitten in shelter with his young mother, Rosa. Good luck in your new forever home, gorgeous boy. 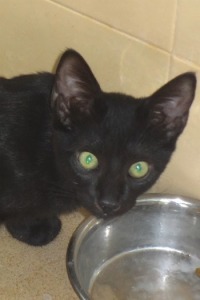 Mowgli is a gorgeous black kitten of about 5-6 months. He is in the shelter with his beautiful mother, Rosa. 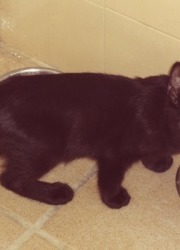 Mowgli is beautiful and black and shiny and is little shy but soon comes out of his shell. 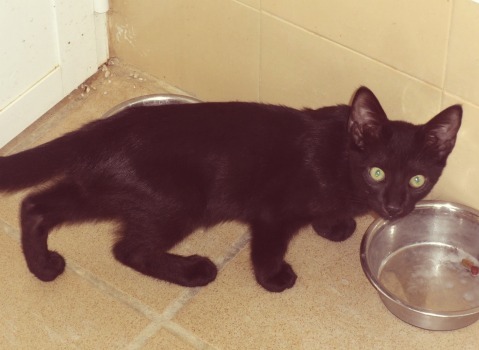 This cat has been adopted, but if you are interested in fostering or adopting a rescue cat please click on the button below to meet the Valle Verde cats still waiting to find their forever homes and families. Please also share our stories with anyone you know who might be able to help . Thank you! facilisis id tempus Aliquam eleifend massa efficitur. eget consequat.